Maximilian has reached a milestone. He has not reached episode 40 of the Street Fighter III: 3rd Strike edition of his "Online Warrior" series. 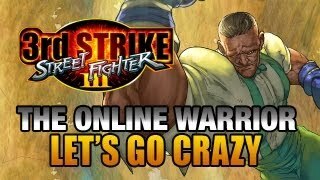 Maximilian has uploaded the 40th episode to the Street Fighter III: 3rd Strike edition of the "Online Warrior." Max decides to keep it classy for this episode as he takes to ranked matches with Dudley.